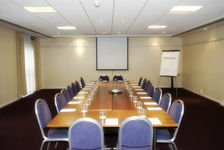 rent Cross hotel at the foot of the M1 motorway, for great transport links in and out of central London. 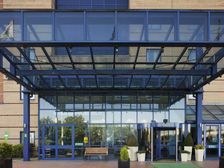 We're just minutes by car from the A406 North Circular road and the start of the M1 motorway. 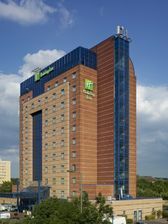 Leave your vehicle in our car park at the modern Holiday Inn London-Brent Cross and take the on-request complimentary shuttle bus to nearby Brent Cross underground station to reach central London attractions in under 30 minutes. Back at the hotel, settle into your spacious Guest room and connect to high-speed Internet. 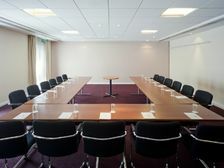 The dedicated events coordinator at Holiday Inn London-Brent Cross will help your function or conference to run smoothly. 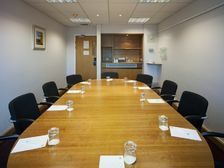 Book one of 6 air-conditioned meeting rooms, all with natural daylight, high-speed Internet and AV technology. 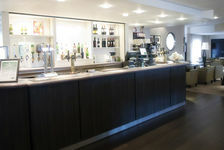 Informal meetings can also be held in our relaxed Junction Bar. 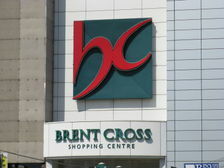 Be on the lookout for bargains at nearby Brent Cross shopping centre, just a couple of minutes' ride from the hotel on our complimentary shuttle bus. Wembley Stadium, 4 miles away, is home to the England football team. It also hosts other sporting events and world-famous music acts. 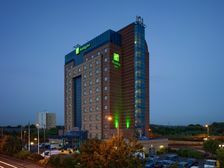 You can order a full English breakfast or evening meals like fish and chips in Holiday Inn London-Brent Cross's Junction Restaurant, and enjoy 24-hour Room Service. If you want to work out, we offer discounted rates at nearby LA Fitness health club. 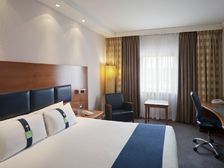 Opt for our special Shop 'Til You Drop Package at Holiday Inn London-Brent Cross. 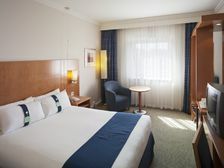 You'll receive your accommodation and a full English breakfast at the hotel, as well as a voucher to spend at stores in the nearby Brent Cross shopping centre, and a shopper's goodie bag of treats. 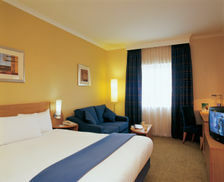 ettle into your air-conditioned Guest room, decorated in blues and creams, at Holiday Inn London-Brent Cross. You can keep up to date with high-speed Internet and flick through satellite channels on the TV. Complimentary tea and coffee is provided. 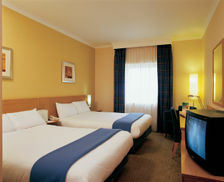 Modern, spacious and stylish rooms equipped with high speed internet to suit business and leisure travellers alike. 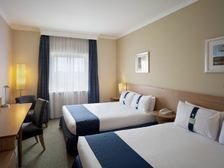 Your Executive room has extra space and a larger desk to make you feel at home. Check your email with high-speed Internet and choose a chilled drink from your well-stocked minibar. Bathrobes, slippers and superior toiletries offer a touch of luxury. Enjoy a full English breakfast or help yourself to the continental buffet in our bright Junction Restaurant. 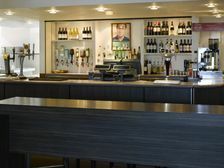 In the evening, our friendly staff will bring you steak cooked to order, and relax with a drink in the Junction Bar open 24 hours for residents.